Are there any more Metropolitan Drinking Fountain and Cattle Trough Association cattle troughs in Greater Manchester? If you know of any other cattle troughs in Greater Manchester please send me details. 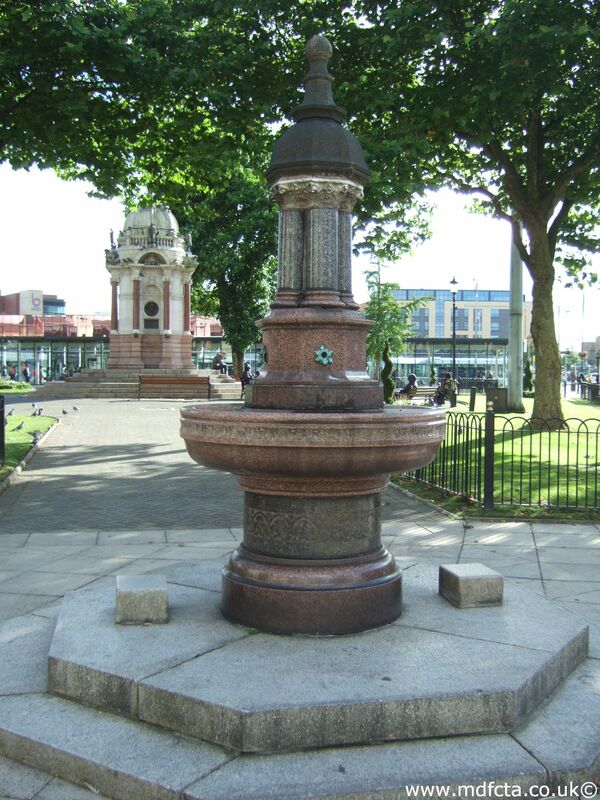 In September 1884 trough  was erected in Manchester (location unknown). In April 1885 a 6ft 6in trough  was erected in Manchester (location unknown). In October 1886 a 6ft 6in trough  was erected in Manchester (location unknown). Granite and fittings sent by rail to Mrs H Phillips £42.0.0. In 1875 four fountains, 2 cattle troughs, 2 sheep troughs  were erected in Manchester at New Cross (?). The gift of Baroness Burdett-Coutts. In December 1892 a 9ft 6in trough  was erected in Stretford, Greater Manchester (location unknown). In June 1894 a 9ft 6in trough  was erected in Bolton (location unknown). The gift of the Misses Wolfenden. In March 1897 a 9ft 6in trough , with a Wolfenden inscription, was erected in Bolton at the Manchester Road end of Trinity Street where cattle of the town could drink. On 14 September 1912 a 6ft 6in trough  was erected in Bolton on Bury Road by Tonge (?) Old Road. Presented by assoc’ & Bolton branch of RSPCA. On 31-July-1908 four 9ft 6in troughs all with number  were erected in Bury. Paid for by Mrs Bruce of Wansfell Windermere. In July 1887 a 9ft 6in trough  was erected in Stockport on Wellington Road South. Granite sent by rail to AH Sykes Esq £50.0.0. There may have been a trough in the centre of Salford Broadway at the junction with Trafford Road. There may have been a trough in Manchester outside Broughton High School. There may have been a trough in Ordsall, on Trafford Road, near to Trafford Bridge. There may have been a trough on Ordsall on the corner of Hulton Street. There may have been a trough in Manchester outside Buile Hill Park. There may have been a trough in Manchester at the junction of Eccles Old Road, Broad Street and Bolton Road. Are there any more Metropolitan Drinking Fountain and Cattle Trough Association drinking fountains in Greater Manchester? If you know of any other drinking fountains in Greater Manchester please send me details.